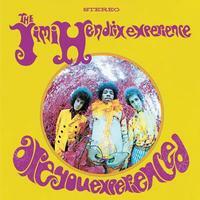 Are You Experienced on Hybrid SACD from Analogue Productions! Newly remastered by Bernie Grundman, from the original analog master tapes! Includes both mono and stereo mixes — Pure DSD sound! When first released in 1967 in the U.S., Are You Experienced turned the music world upside down as Hendrix showed everyone exactly what it meant to be "experienced." This SACD returns to the original 11-song version that was originally released in August 1967. It contains such eternal classics as "Hey Joe," "Purple Haze," "The Wind Cries Mary," "Fire," and the title song, whose backward drum and guitar tracks and otherworldly guitar work still sound innovative almost a half-century later. As Rolling Stone states, Jimi Hendrix was the most innovative instrumental genius the rock era produced, a wizard guitar player whose sense of technique never overwhelmed the blues and rock 'n' roll spirit that was the underpinning of his genius. He improvised with the fervor of a born jazzman; he philosophized like the most cosmic rocker, but ultimately his basics were rooted in soul, a reflection of the chitlin circuit, where he cut his teeth. With the possible exception of Cream, The Jimi Hendrix Experience was debatably the world's finest-ever power trio. Axis and Are You Experienced showcased the grasp that Jimi and his cohorts — Mitch Mitchell on drums and Noel Redding on bass — had on the studio technology at their disposal, and the lyrical beauty of Hendrix's guitar playing.